This training singlet will boost your on field performance with VapoDri moisture wicking technology and identify you as a serious NSW fan and member of the Canterbury community of players and supporters. SOO Light Blue and Navy. Take your performance to a new level in Canterbury’s VapoDri Training Singlet from our 2019 NSW State of Origin Training collection. This quality singlet is made from 100% Polyester Pique for comfort, breathability and freedom of movement and it incorporates our VapoDri fabric technology, which wicks sweat away from your skin as you train to keep you cooler and drier. 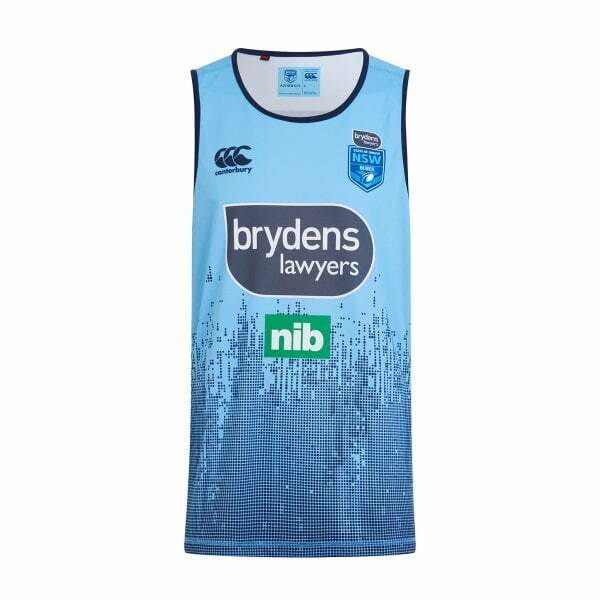 If you’re a Blues supporter, it doubles as classic Origin supporters wear, with team and sponsor logos to show your allegiance and the CCC logo identifying you as a proud member of the Canterbury community of players, supporters and fitness enthusiasts.